The Weaver family has been involved in dairy farming for six generations and purchased Bridgewater Dairy in 1998. Chris and his father Leon have grown their farm from 500 to now more than 6,000 dairy cows that live on three farms in Ohio and Indiana. The Weavers work closely with their team of 90 people to ensure cow care remains a top priority at their farms. Why did you decide to become a dairy farmer? Chris: My family has been involved in dairy farming for six generations. My father was a veterinarian, and we grew up in the city. I attended The University of California, Davis and initially wanted to go into human medicine. But, I had a couple of internships on dairy farms and really started to develop a passion for dairy farming. My father and I purchased this farm and started out with 500 cows – now, we have more than 3,000. Today, we are here for our cows, for our environment and for our communities. What steps do you take to protect the environment, especially on such a large dairy farm? Chris: We are all living off the environment, and it is extremely important to take care of what’s feeding us. We joke a little bit here that we spend a lot of time on manure—but it’s a big part of this farm. We have a manure digester, which converts the energy stored in manure into methane, which is used to produce electricity. 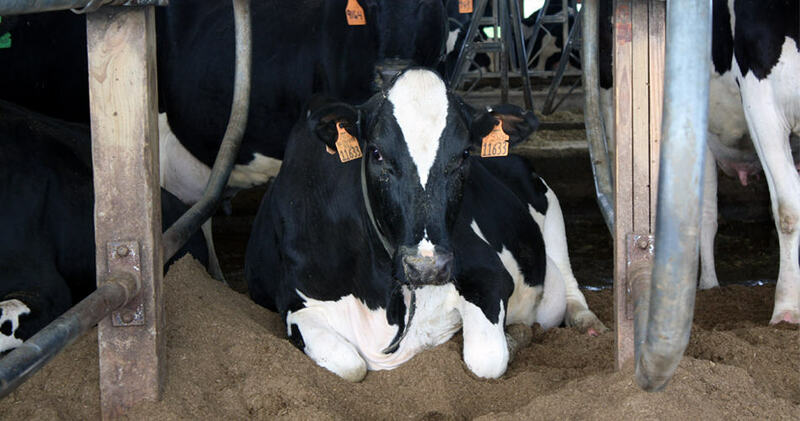 The digester also recycles the sand we use for cow bedding in our barns and greatly reduces manure odor. We have buffer areas around our entire farm, which are designed to keep nutrients on the fields from entering the local water supply. We do soil sampling at least every three years and, depending on what crop we are planting on the fields, sometimes up to once a year. How do you ensure the milk produced on your farm is safe? Chris: We are committed to providing a good, quality milk product for American consumers and have many protocols we go though on our farm to make sure milk produced here is safe. When a cow is sick or is receiving an antibiotic, that cow receives a leg band and is housed in a separate pen. Her milk never touches the milk tanks and is never consumed by humans. Before our milk is transported off the farm, we perform tests to double-check that the milk is clean and free of all drugs. Then, when it reaches the processor, it undergoes more testing. Any milk that does not pass these tests is disposed of immediately. The FDA also comes in and reviews those testing policies to verify that all that milk is being protected.